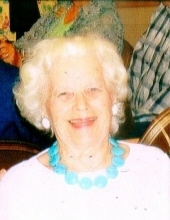 Thelma Louise Royer, a Bakersfield resident, passed away peacefully January 24, 2019 at the age of 99. “T”, as she preferred to be known, was born December 3, 1919, to Henry Thomas and Mildred Stauffer Thomas, in Bakersfield. She attended school at Vineland, Kern County Union High School, and finished collage at Redlands, choosing to become a High School English teacher. She began teaching in California, later in Taft High School before marrying Alan Royer and settling in Burbank. There she would continue teaching at John Burroughs High until she retired. In addition to her love of teaching English, she was able to enjoy her passion for new horizon, traveling around the world with friends, her mother and husbands. She was a great correspondent with family and friends, letters were always a joy to receive. One of her other passions was reading, and she always willing to share recommendations as well as books, and would often ask what books you were reading and why. Even retirement, her love of knowledge prompted to volunteer in libraries. She was preceded in death by husbands Alan Royer, Byron Kilpatrick, and James Cartwright, brother Robert Thomas and sister-in-law Grace. “T” is survived by brothers Miles and Wesley Thomas, sister-in-law Joan Thomas, and three nieces. Services will be private. A celebration of life and memories will be held at Brookdale, where “T” had been living. To send flowers or a remembrance gift to the family of Thelma Louise Royer, please visit our Tribute Store. "Email Address" would like to share the life celebration of Thelma Louise Royer. Click on the "link" to go to share a favorite memory or leave a condolence message for the family.